Our expert florists will personally create your bouquet using the finest and freshest cerise, orange, purple and lime flowers. Your bouquet flowers will be hand chosen by the Florist, the image shown is for illustration purposes only and may vary. 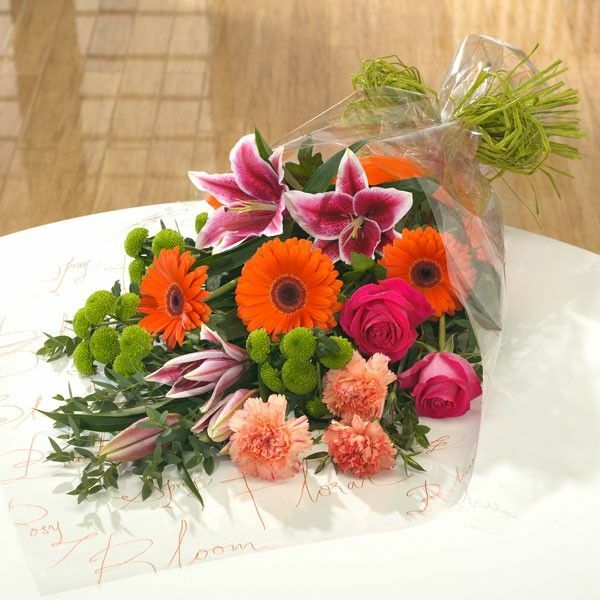 This beautiful gift-wrapped bouquet will typically include chrysanthemums, gerberas, roses and lily and be a delight for any one who loves to arrange cut flower stems in a vase of their choice at home.